I coach a lot of people who want help in pursuing their next promotion, the next step up in their career. But it’s tough. There’s a lot of competition out there for not that many opportunities. One of my clients (I’ll call him Kieran) is an introvert. But a lot of his clients mistake him for an extravert. He doesn’t seem at all shy – he is chatty and sociable, makes strong eye contact and has a lot to say about both work and life. 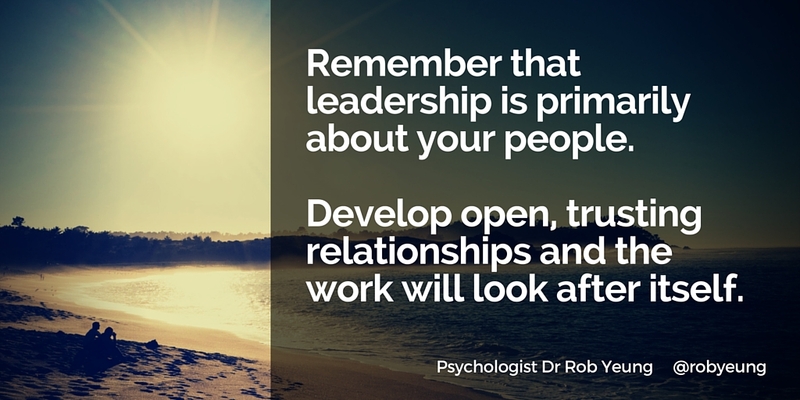 A large chunk of my work involves coaching leaders one-on-one or running workshops for small groups of leaders. Given the challenges they face, I have seen firsthand some of the more effective ways that some of the most successful leaders have transformed themselves and the performance of their teams. Here are 6 observations on what seems to work.